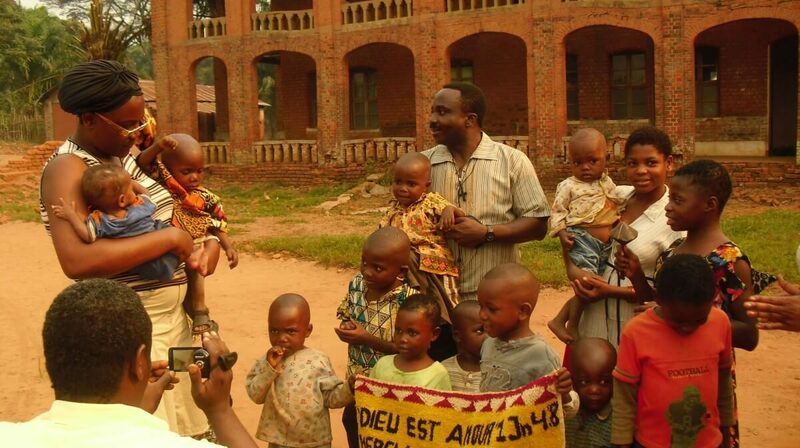 Revitalizing an orphanage in the Democratic Republic of Congo may be the last hope for these children. Having been faced with death throughout their young lives, these children need hope, now more than ever. They have been living out of a war-damaged orphanage and they are hungry. 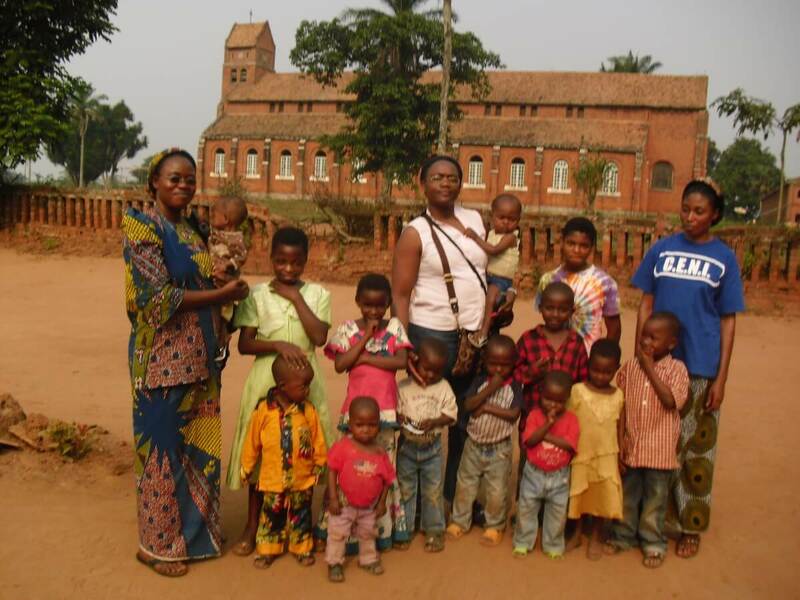 Explore the tabs below to learn more about the orphaned children in DR Congo. 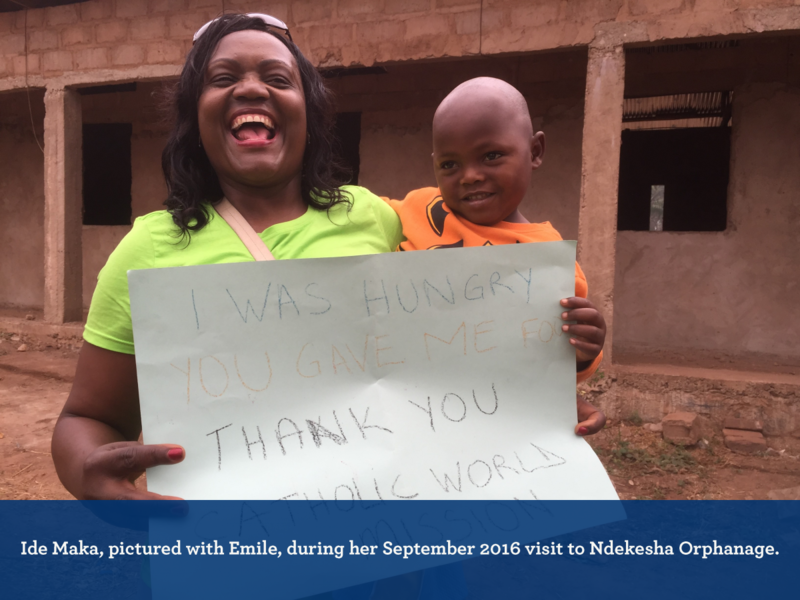 After 4 Years, the Ndekesha Orphanage is Re-opened! 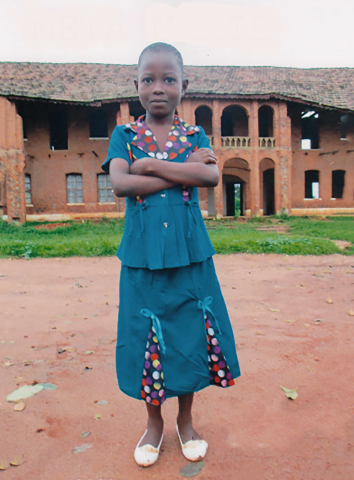 Ndekesha Orphanage was started by the Sisters of Charity in 1952. 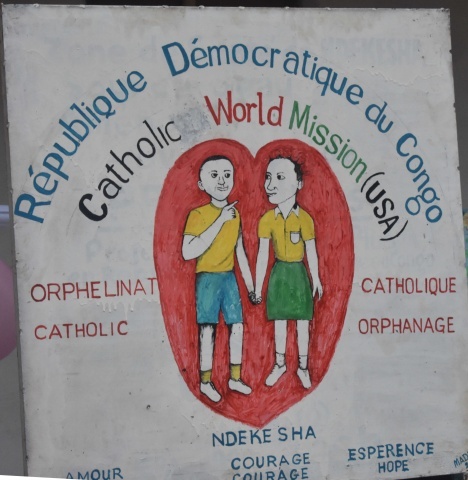 For 46 years, the Sisters of Charity raised many children and did vital work through their ministry at Ndekesha Orphanage. 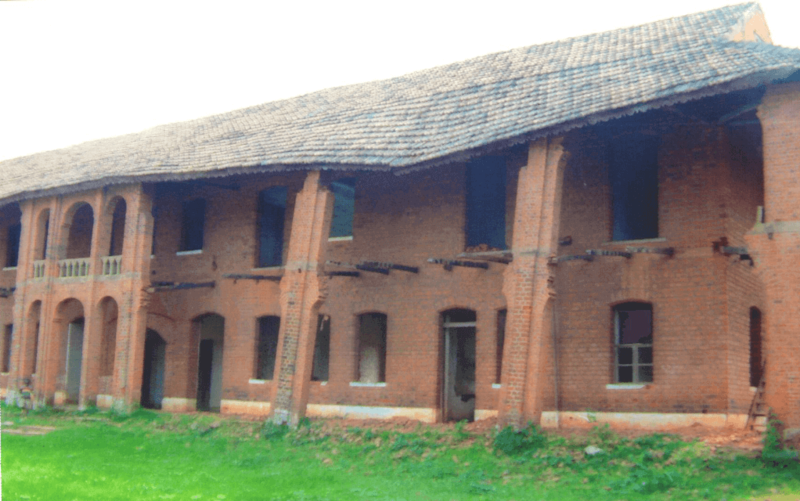 Due to war and increased fighting, the orphanage was closed in 1998. 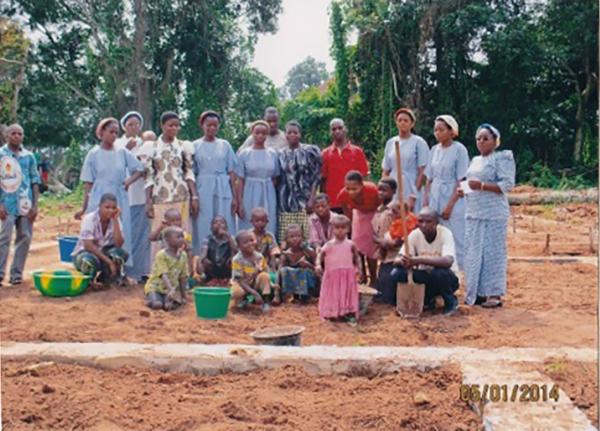 In 2002 Archbishop Emery Kabongo reopened the orphanage and staffed it with a new order–the Sisters of the Friends of Christ. The facilities were in terrible condition due to the war. 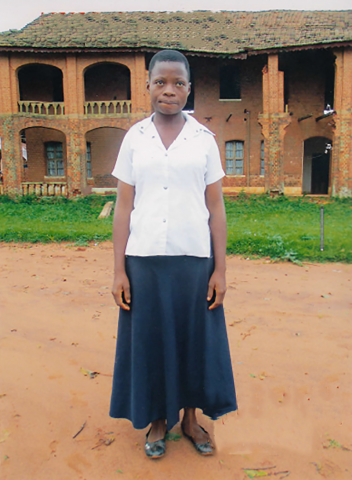 With the continued support of the archbishop, the sisters, led by their superior, Sister Beatrice, have been advocates and mothers to many, many children over the last 15 years. 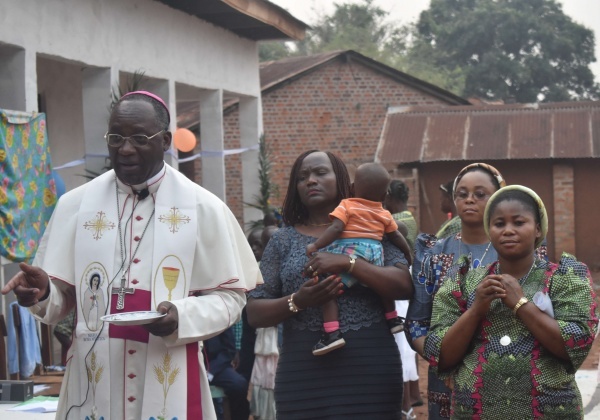 Despite their dedication and perseverance, the Sisters of the Friends of Christ and Archbishop Kabongo were unable to get a proper facility for the children, and were without the resources to feed the children nutritious meals. 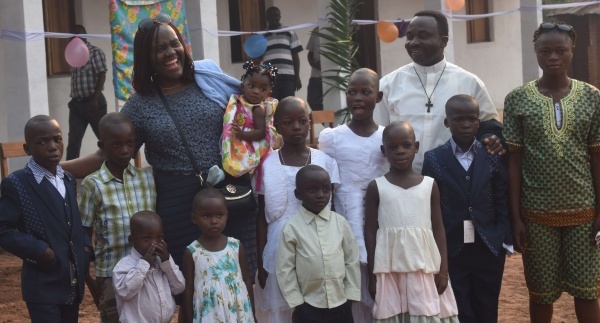 In 2015, Archbishop Kabongo met with Deacon Rick Medina of Catholic World Mission and personally requested the assistance of Catholic World Mission to help him realize the dream of proper care and education for these orphaned children. 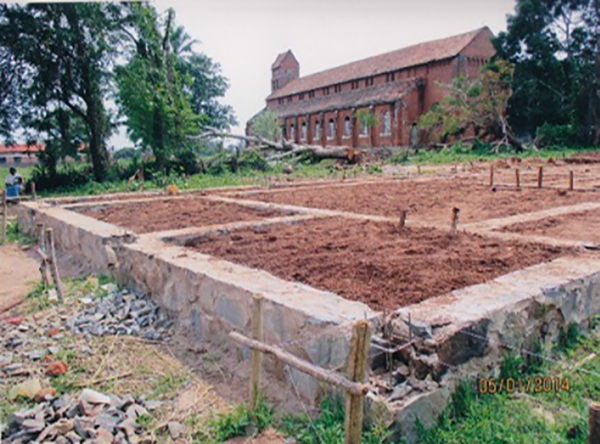 This was a project near and dear to the archbishop’s heart, because he was orphaned as a child himself. 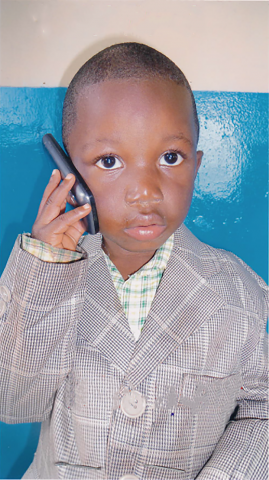 Today, 19 orphans call Ndekesha Orphanage home. 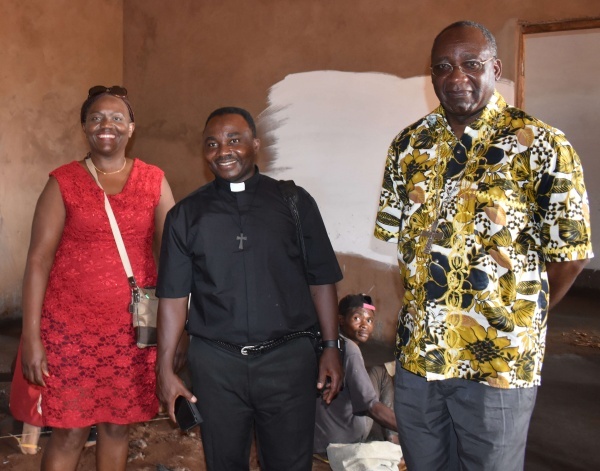 With the help of the generosity of Catholic World Mission donors, Ndekesha Orphanage has been rebuilt, given electricity and running water, and furnished. The children are thriving, and have gained healthy weight after finally receiving three meals every day. 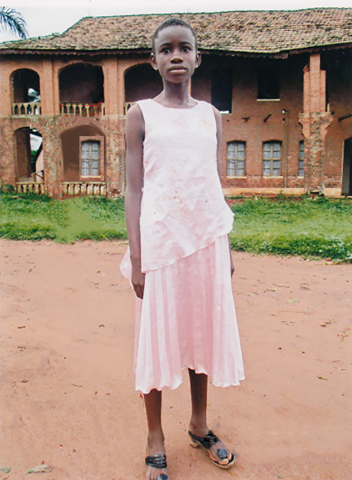 The orphanage was created because many children are abandoned by their families, especially if the mother dies during child birth. 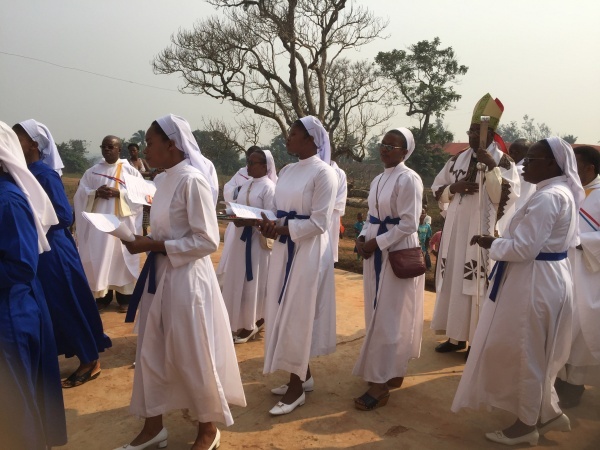 Children in the Democratic Republic of Congo are seen as an economic burden, but the Sisters of the Friends of Christ know the children are a gift and truly cherish them. 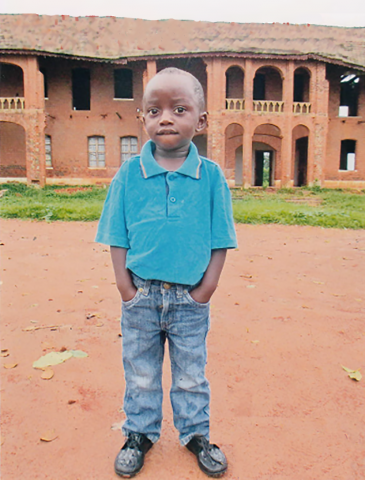 Every child at the orphanage is given the last name “Kabongo” after Archbishop Kabongo. 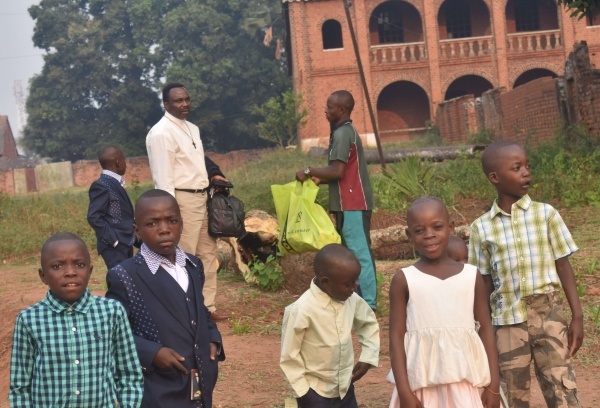 Under his leadership, the orphanage was reopened in 2002, and he has become the spiritual father to all the children. 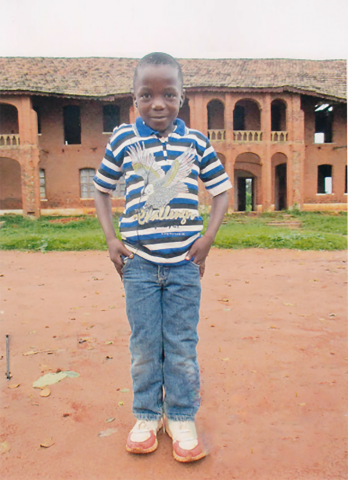 The orphanage provides a place for the children to grow, learn, and be children in a country with much economic turmoil. 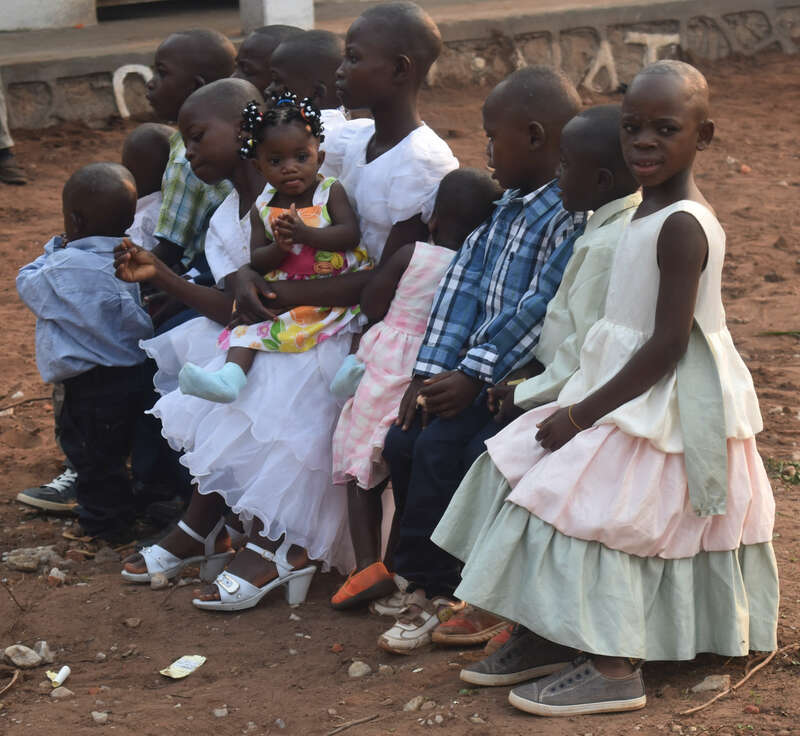 The sisters at the orphanage wish they could take in as many children as possible, but their needs are great as it is, and they struggle to provide for the children they care for now. 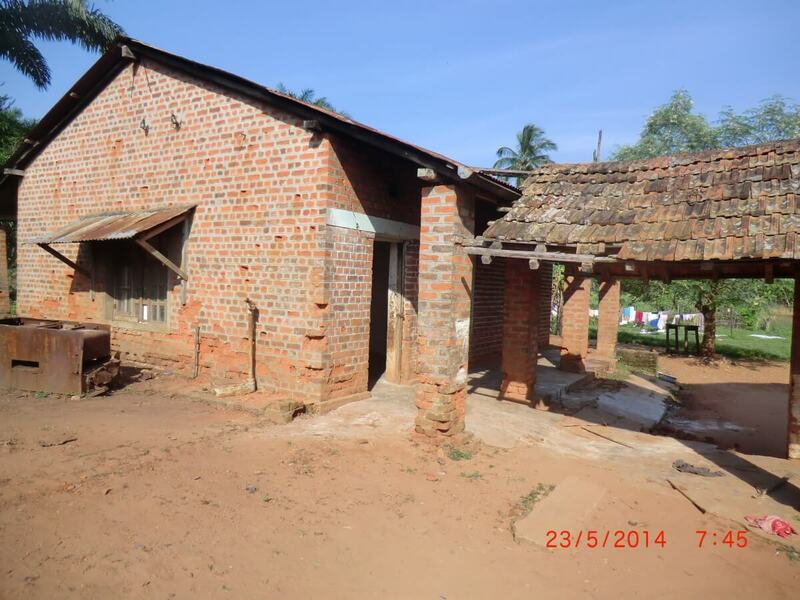 Ndekesha Orphanage is currently in a run-down building with nothing but cracked walls. 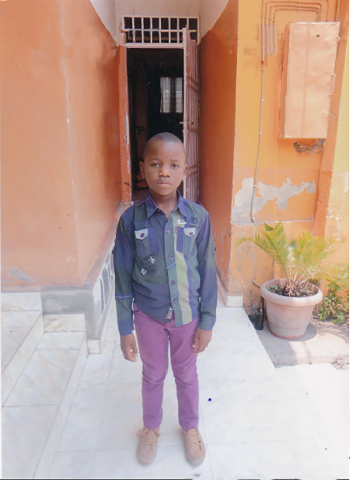 There are 16 children under the care of the Sisters of the Friends of Christ, many of them malnourished from lack of food. 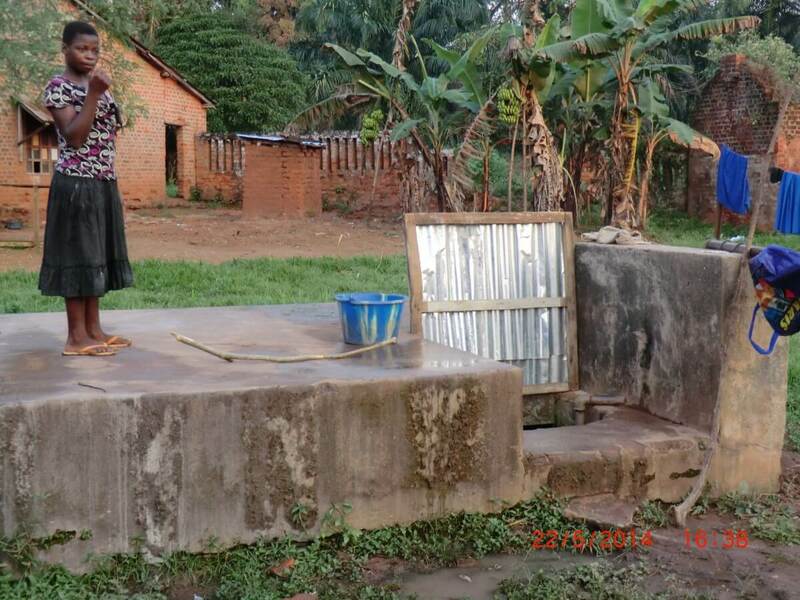 There is no kitchen, bathroom, or any other basic necessities. 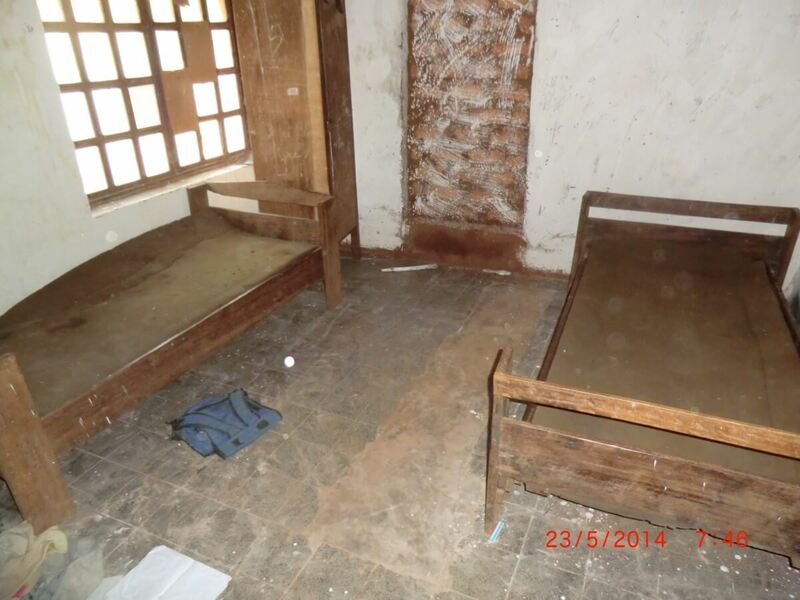 There are two beds in the orphanage where 5 children sleep sideways in each. 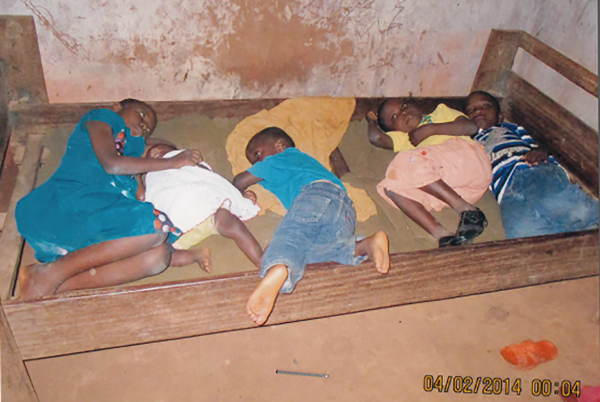 The rest of the children sleep on the floor. The number of orphans the sisters could care for can easily quadruple, but there are simply no funds for food, medicine, or any other basic necessities. 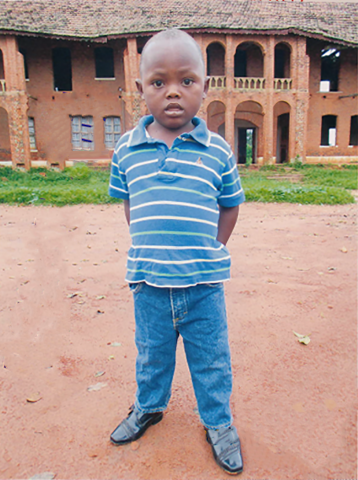 Their biggest need is to build a safe orphanage for the children to live. One night at 3 AM Sister Beatrice woke to hear the children crying. 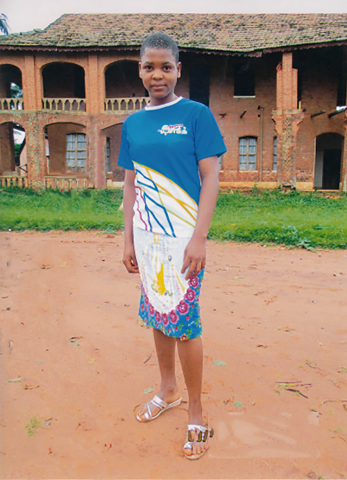 Imagining her worst fear–an intruder hurting the children–she ran to check on the girls. There was no intruder, but one of the oldest girls hot with a fever. 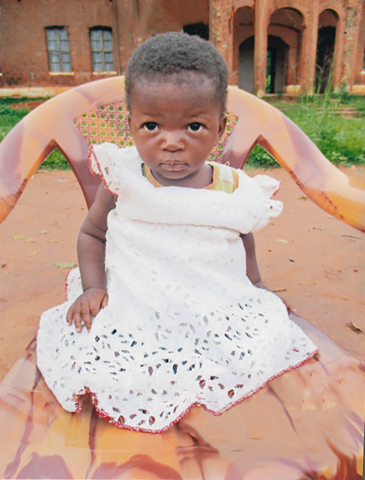 Sister Beatrice took the girl to the hospital where she was diagnosed with major depression. 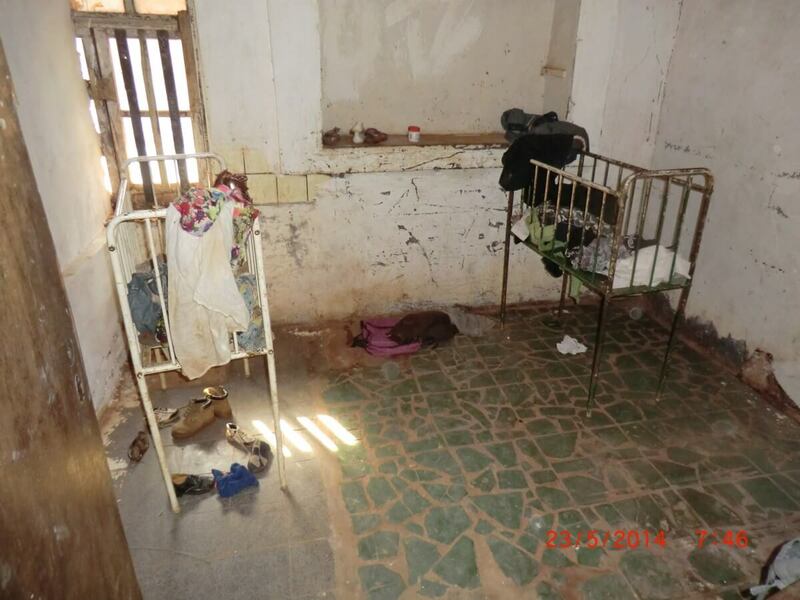 The children have all been subject to devastating trauma through their abandonment and through the hard lives they live in a shelter with no security. 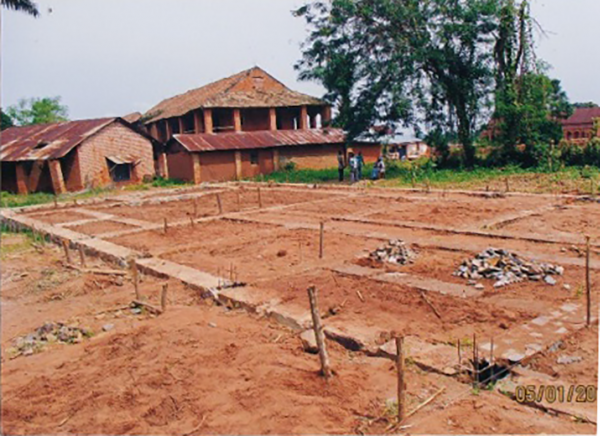 Thanks to the generous donations of major benefactors the war-damaged orphanage is being rebuilt! 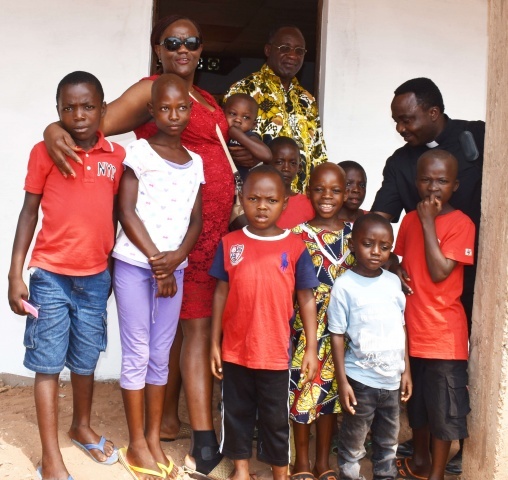 We look to generous donors like you to help us furnish the orphanage, once it’s rebuilt, with basic furnishings such as bunk beds, cribs, a full kitchen, a bathroom, a living room, and a play room. 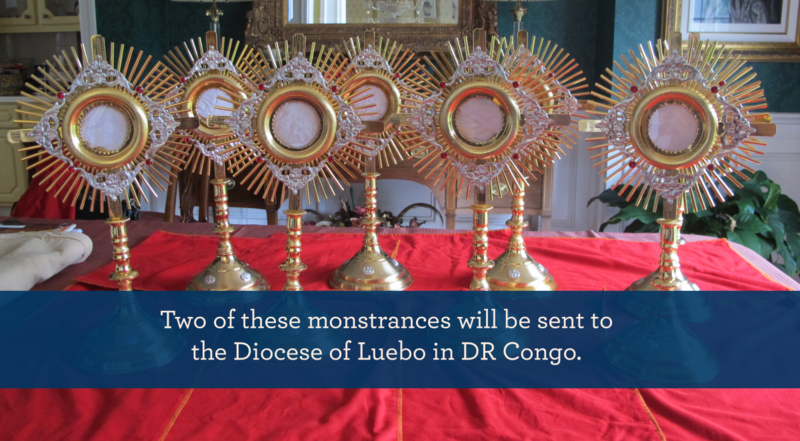 Even monstrances and the Precious Body of Jesus have become casualties in the violent civil war in DR Congo. 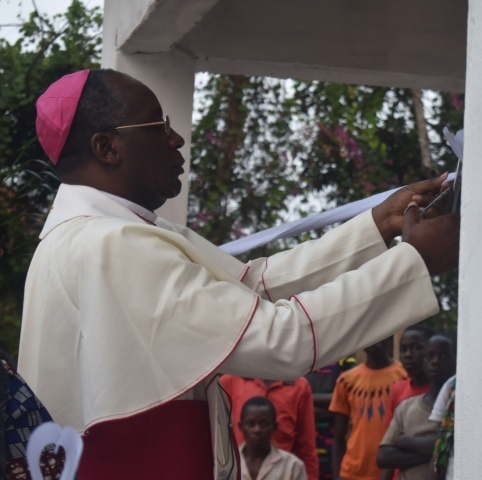 The Cathedral of St. John the Baptist in the Diocese of Luebo was desecrated and vandalized by the militias in March of this year. 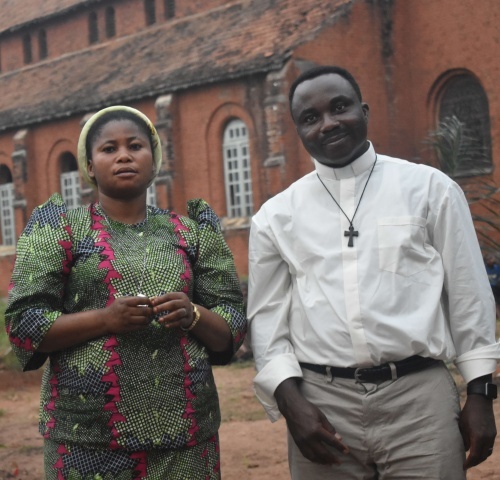 Ide with EmileOur local Atlanta, GA partner, Ide Maka, is working hard to get two new monstrances to the Diocese of Luebo. This is a developing story. 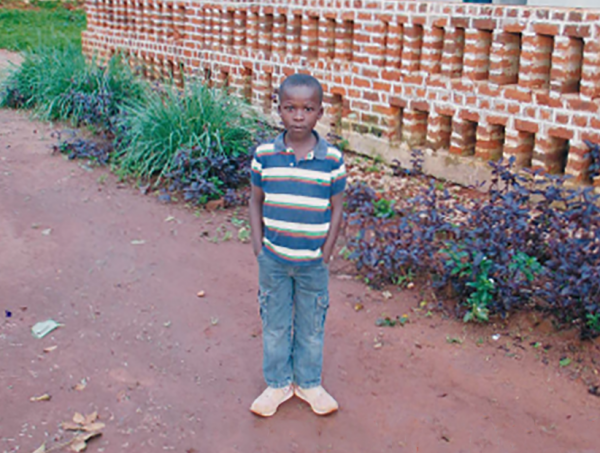 Check back soon for updates, and please keep DR Congo in your prayers! 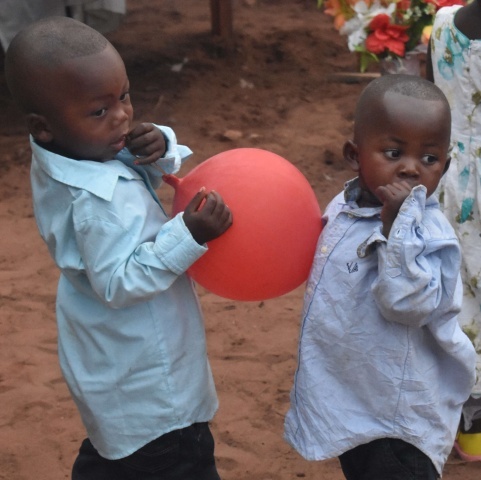 The Ndekesha Orphanage was just dedicated this fall! 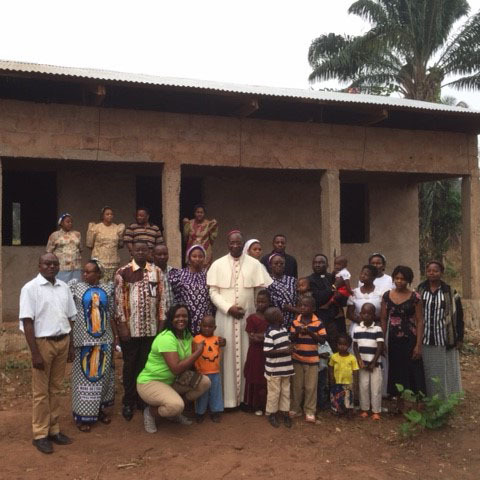 New construction was completed, and the children and Sisters were able to return to their home this summer. 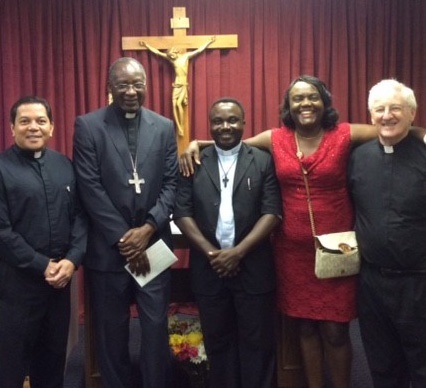 Bishop Pierre Celestin was on hand for the celebration. 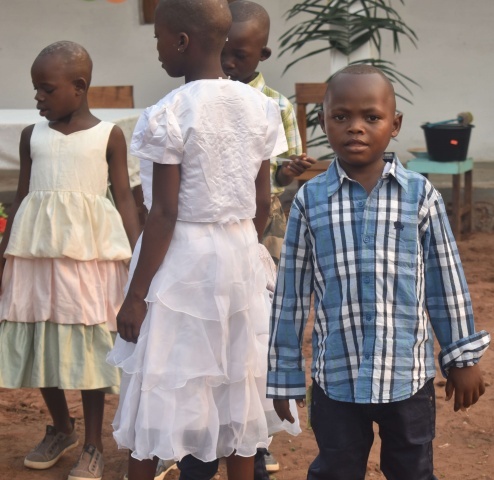 He blessed the new orphanage and led a prayer service, which was followed by dancing and songs sung by the children. 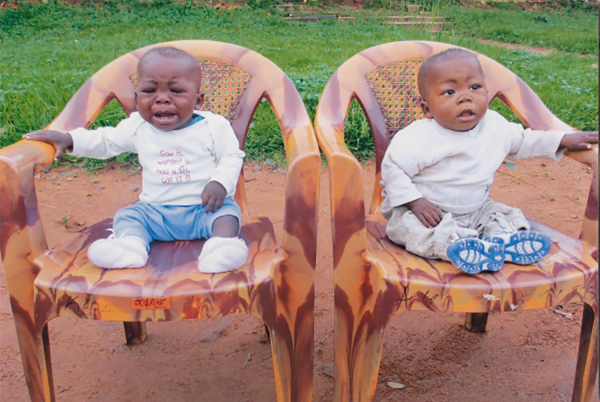 Thank you for your generous help for these little ones! Scroll to the bottom of this tab to see some of the photos from the big day! Don’t the children look so cute in their Sunday best? 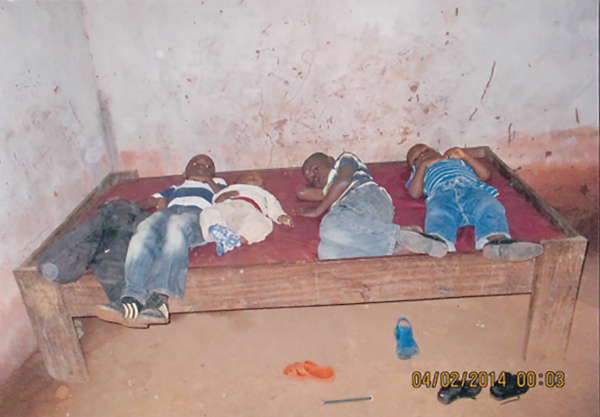 The orphans are still in Kananga, and still living in a small one-room apartment. 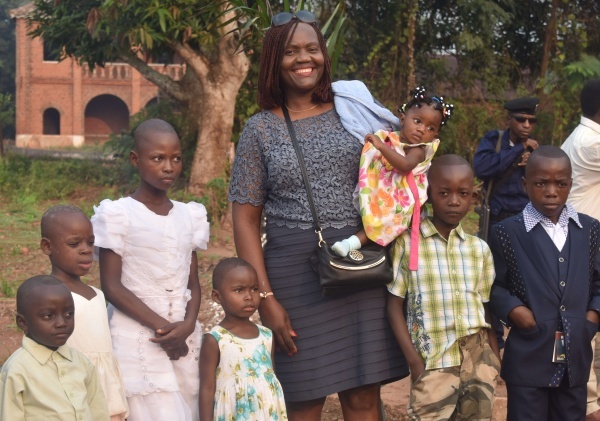 Since arriving in Kananga, the sisters have taken in three more children from the streets. 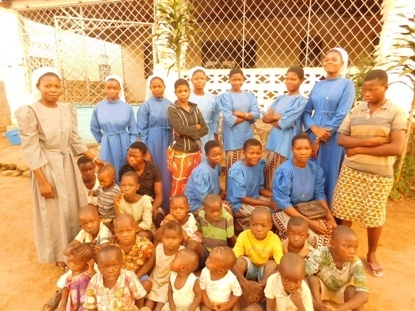 17 religious sisters are now caring for 21 children. Please keep these children and sisters in your prayers. They are still hoping to move into a bigger apartment, and eventually a house. 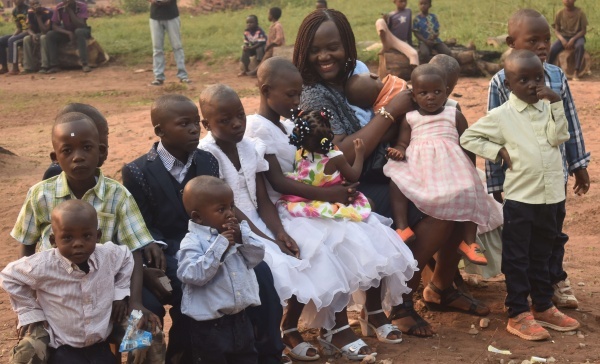 Their living quarters were extremely cramped before and are even more cramped with three more children. Pray especially for the sisters, that their hearts would be fully united to Jesus so that they can continue to love each child well and provide much-needed stability for them. 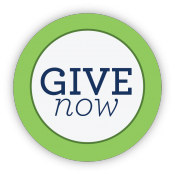 Click here to help support the sisters and children during this difficult time. 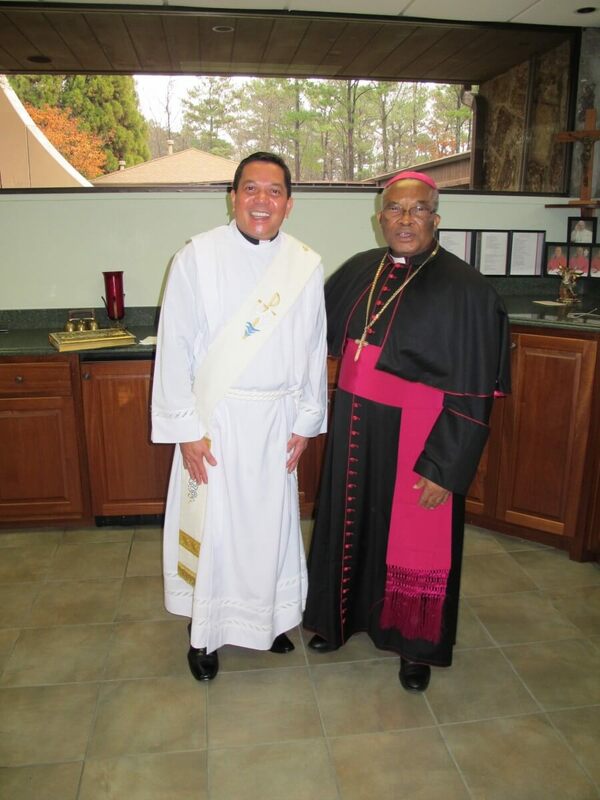 Bishop Pierre Celestin, of the Diocese of Luebo in DR Congo, visited us! We were so excited to receive Bishop Pierre and to hear an update on our beloved Ndekesha Orphans. 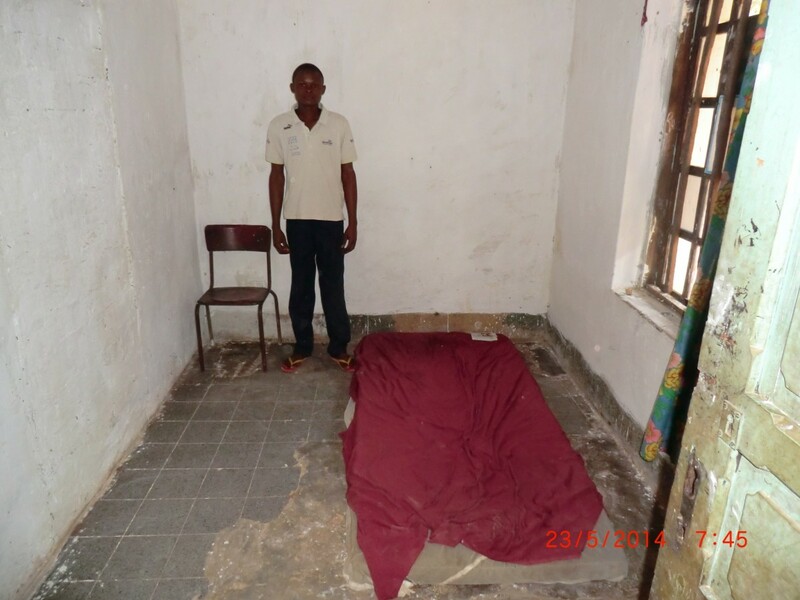 He told us they are still in their one-room apartment in Kananga. We thank God that they are all safe, but still in need of our help. 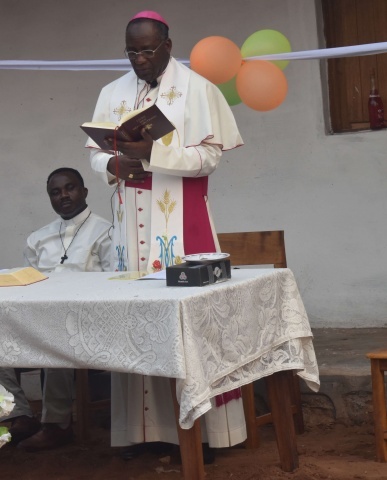 DRC’s civil war has directly affected Bishop Pierre and his priests. 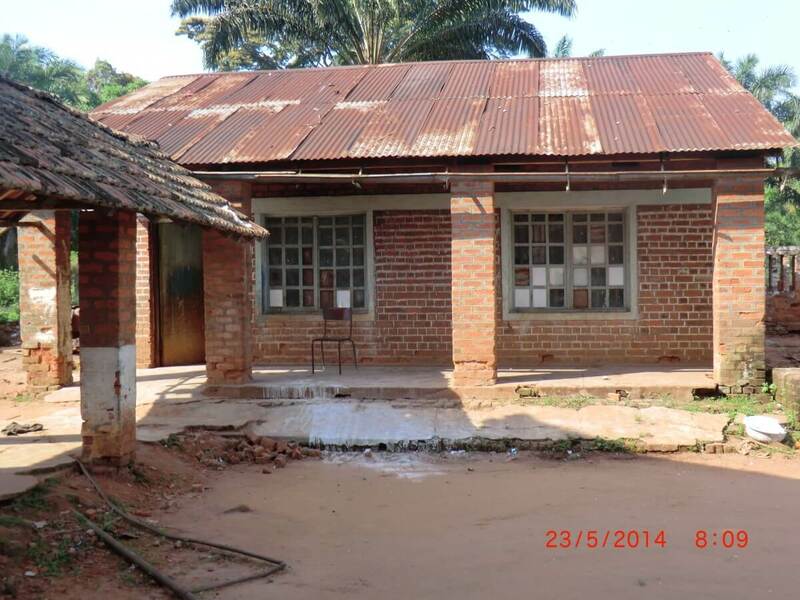 Many priests were forced into hiding when they became the targets of the warring factions in DR Congo. The priests, who, in times of peace, usually live alone at their parish, now live in groups in order to stay safe. Some live in the bush, while many fled to other countries. 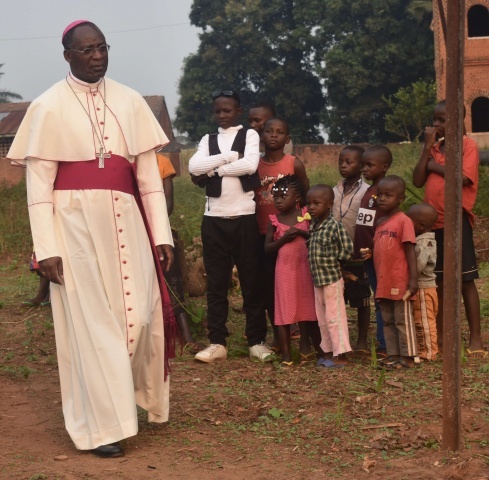 Bishop Celestin travels the world in the humblest conditions to gather the priests back to DR Congo. 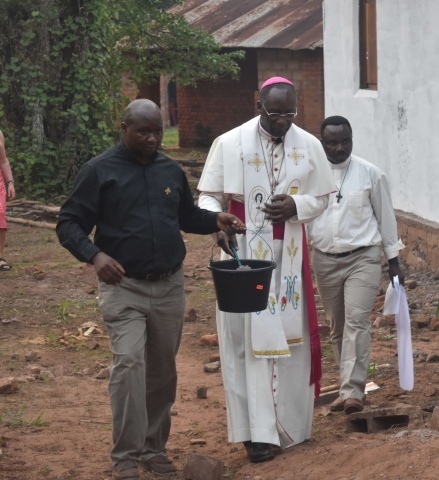 He recently traveled to a refugee camp in Angola to visit displaced priests. 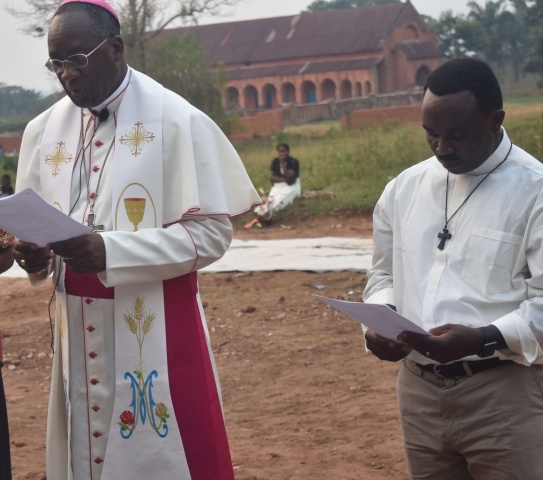 Bishop Celestin is himself homeless as a result of the war. His rectory and cathedral were desecrated, sacked, and vandalized by fighters. Among the items destroyed was the cathedral’s monstrance. 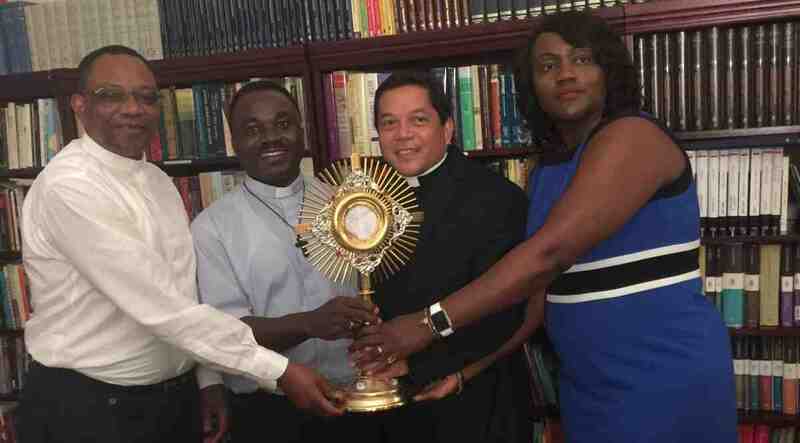 We were delighted to be able to give Bishop Celestin a monstrance to replace the one destroyed by the war. We hope that Adoration will bring comfort to the bishop and his people during this scary time in their country. 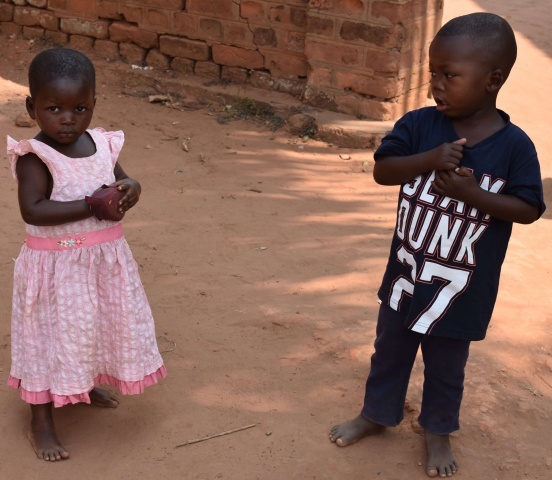 Due to the terrible civil war racking the country, it is unsafe for the children and sisters to stay at the orphanage in Ndekesha. 17 religious sisters and 19 children walked 120 km (75 miles) for their safety. We are happy and grateful to report that everyone arrived safely in Kananga, after the trip took some of the children and sisters 10 days! However, their struggle to survive isn’t over. Currently the 17 sisters and 19 children are all staying in a one bedroom home, packed like sardines. 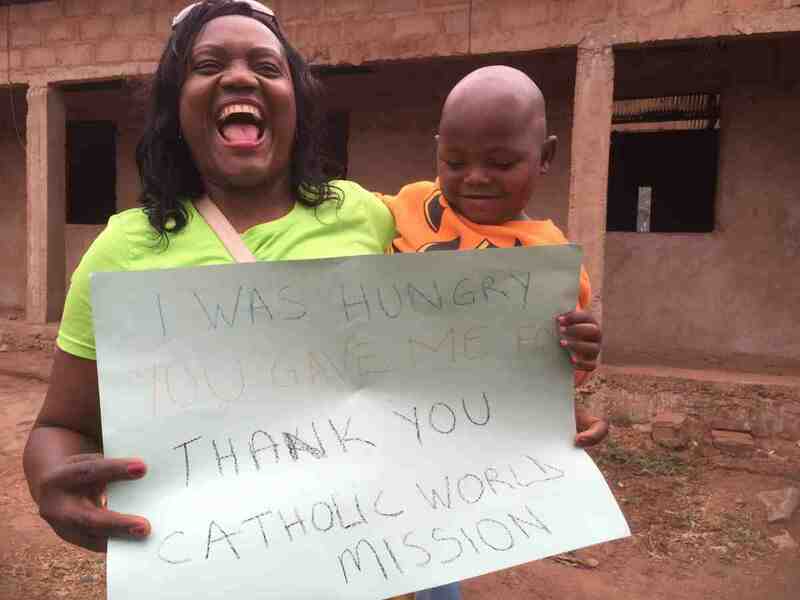 Catholic World Mission sent immediate help to the sisters and children, who will need help paying for rent, food, medical supplies, and other necessities at least through the end of the year. Your generosity made it possible for us to do that. The sisters and children rely on your continued generosity as well. 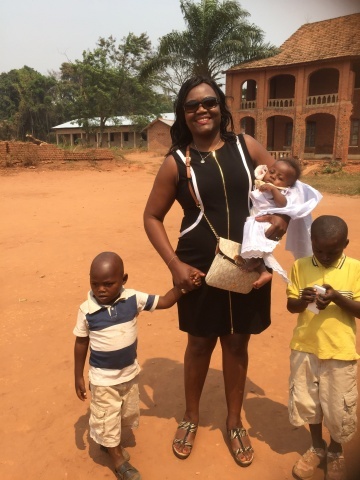 Ide, our partner here in Atlanta, Georgia, traveled home to DR Congo, to visit Ndekesha and check in on the orphans. 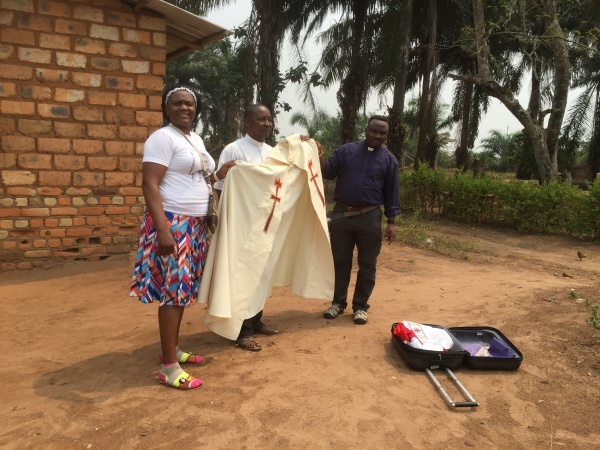 Ide brought vestments to the local priests who were without, she helped carry rocks from the river for the orphanage, and most importantly, she showered the children with love. Together, they celebrated the consecration of three new sisters who made vows as members of their congregation. 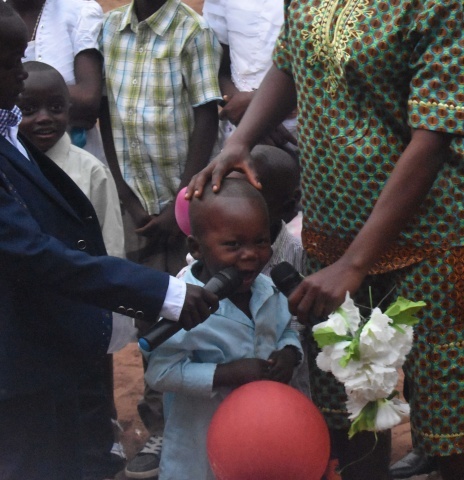 The children clapped and celebrated the joyous occasion. 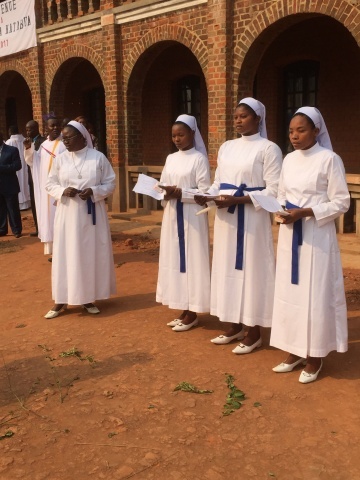 The sisters who made vows are happy to have finally vowed to love Jesus all their lives. 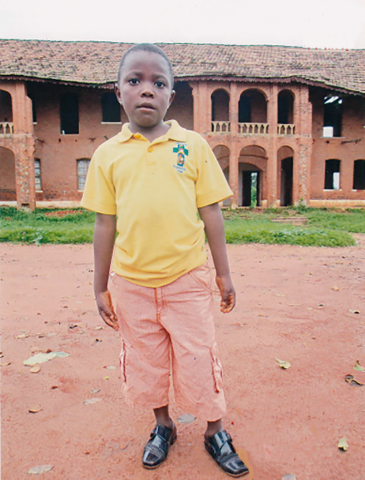 Thank you to all our generous donors who have helped to raise money for the Ndekesha Orphanage in the Democratic Republic of Congo this year! The sisters feel so blessed to be able to feed their children good meals of sardines, noodles, beans, and milk protein. Construction is under way! Building began in January. The foundation is now complete, and the walls are halfway up. 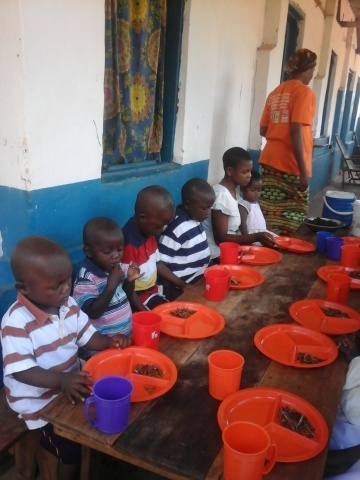 The children are gaining healthy weight now that they’ve been getting three healthy meals a day. 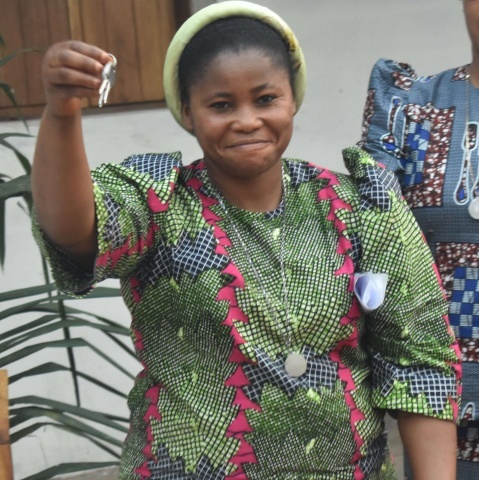 Many of them have witnessed serious loss and traumas, but with a new, structurally sound home, and consistent, healthy meals, they have the hope of stability and love for their futures. Two newborns were abandoned close to the Ndekesha Orphanage around May 25, 2015. 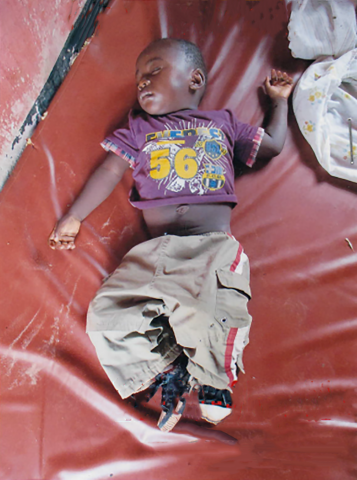 They were sick with lung infections and their parents could not afford to take them to the hospital to receive proper care. They were found by the Sisters of the Friends of Christ, who named them Norbert and Ricardo. 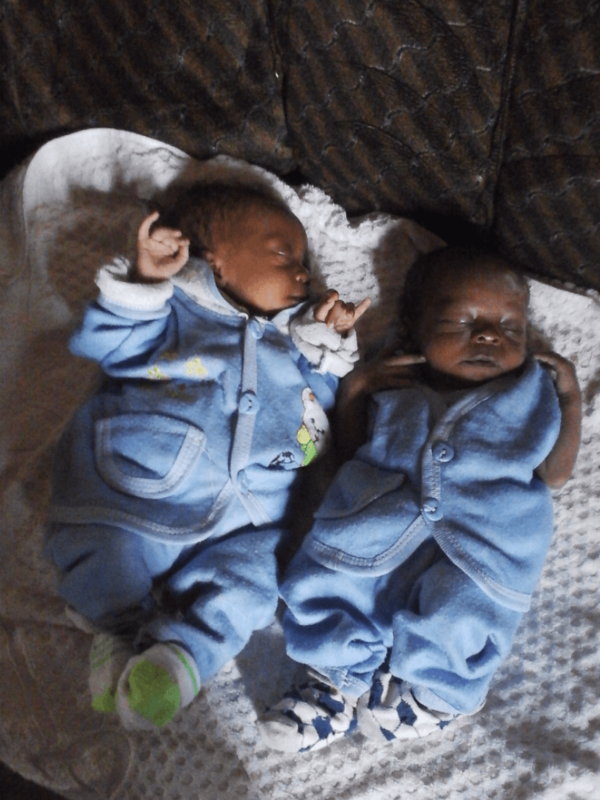 The babies have fully recovered, thanks to the love given to them by the sisters. 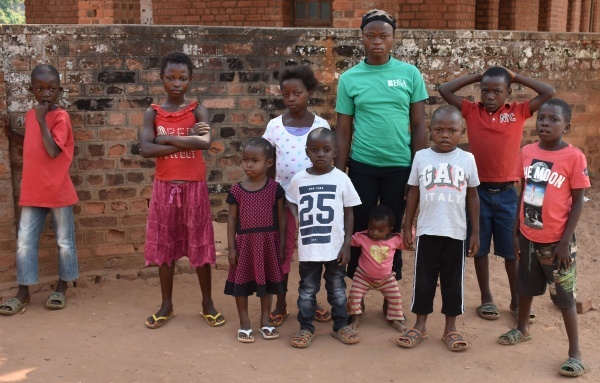 With the orphans and sisters now in Kananga, and there for at least six months, the immediate need is to provide food and shelter for them for the duration of their stay. For now, they are in a one-bedroom apartment with hopes of moving to a three-bedroom apartment soon. This isn’t ideal for 36 people (19 children and 17 sisters), but will provide more space than they currently have. 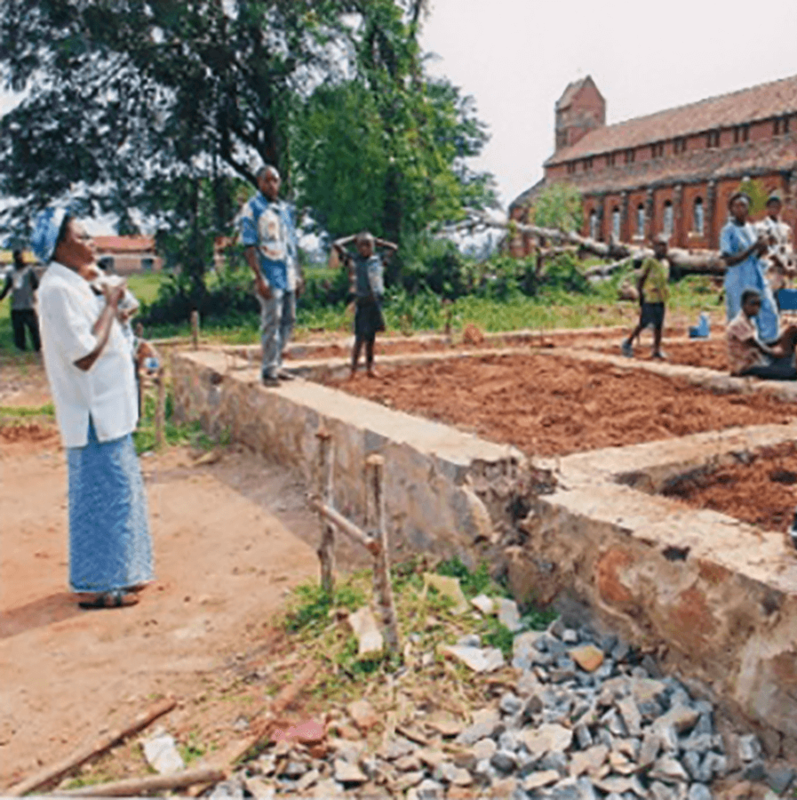 If they have to stay longer, or on a more permanent basis, Sr. Beatrice hopes to be able to build a small four-bedroom house. 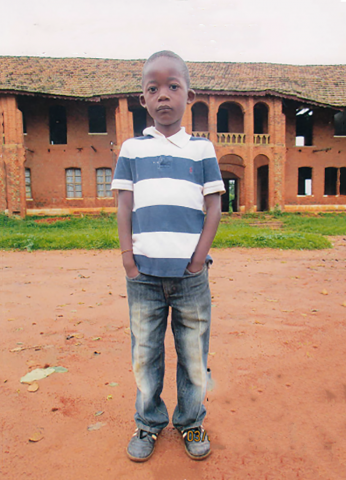 Give now to provide basic necessities to the Ndekesha orphans–food, medicine, and shelter! 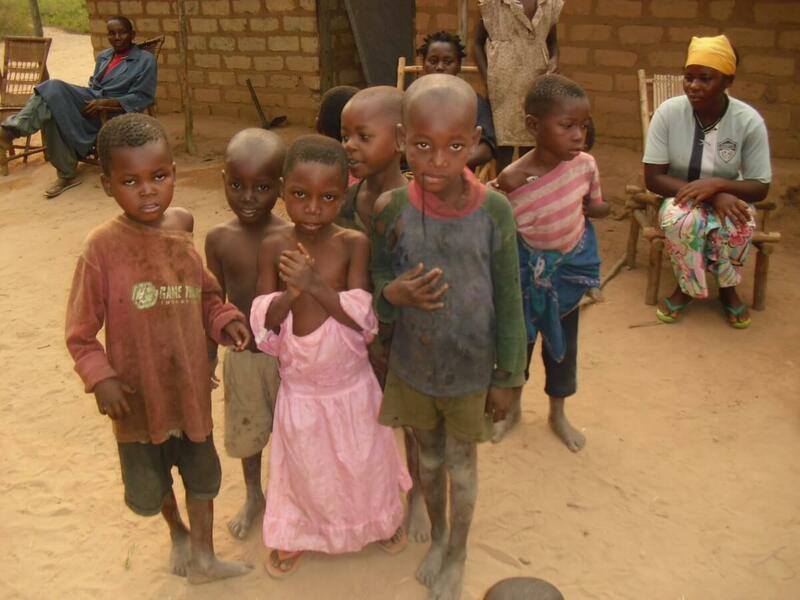 Will you help provide for the basic needs of these orphans today?